For a relatively small investment, your old patio can become the new gathering place. Or a totally new room addition can update your home’s appearance, but of course that’s a more costly project. Intended for family use in all but the harshest weather, you can relax without worrying about wind, rain, bugs, or the blazing sun. The three-season room will become another living area for everyone in the family. A three-season room does not necessarily require the costly features of a room addition, such as a foundation, plumbing, central air conditioner installation, or heating systems. Many three-season rooms use screens and double-paned windows, so you can choose to open the windows to let a breeze waft through, or close the windows to contain the warmth of a sunny day. The materials and the cost of your new room can vary widely, depending on how simple or fancy you want it to be. Vinyl is a popular material to use for the exterior because it’s virtually maintenance-free. It’s a sturdy material, it’s easy to clean, and it’ll maintain its color and appearance for many years. Aluminum siding is also a good choice, with affordability being its biggest plus. It can be powder-coat to maintain its color and appearance, and will resist scratching or chipping. How do you make your new room look warm and homey? Consider an attractive tile flooring, which will stand up to heat, cold, or damp conditions. 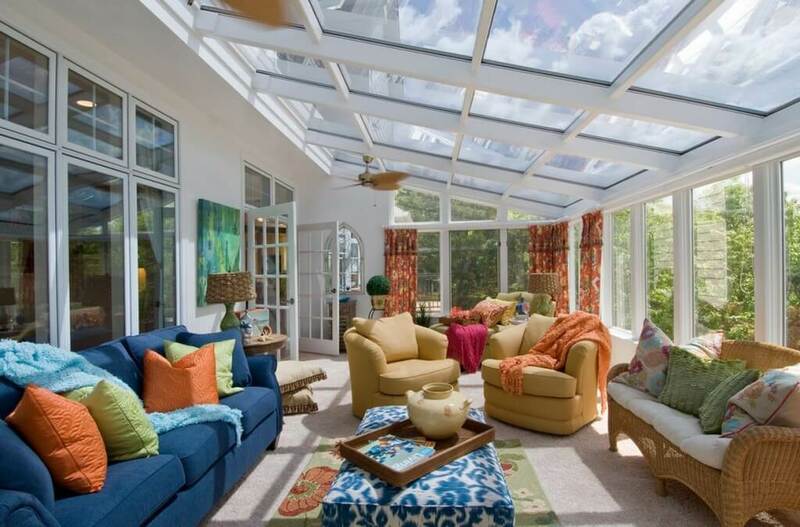 You can add an indoor-outdoor carpet over the flooring, if you like, for additional warmth. A ceiling fan is ideal for circulating fresh air on warm days. Attractive, even trendy, outdoor furniture is available today, with a whole spectrum of colors and patterns. Shop at your local home maintenance store for furniture that will complement your new room and be functional for the family. You can choose to use beautiful finish carpentry to add benches, shelves, or storage. Use of the three-season room is limited only by your imagination! Now it won’t matter if there is rain on the birthday party day, and the weather doesn’t have to interfere with your plans. The new room can become the casual dining spot for the family. It is a great place for the teenagers and their friends to hang out without displacing younger siblings. It’s also just a fantastic spot to curl up with a good book. 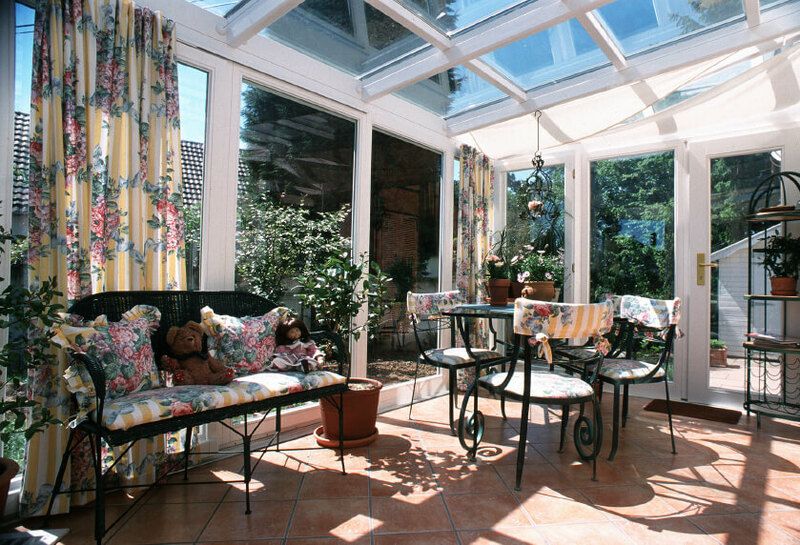 Consider making a three-season room addition to your home. You will be surprised at how much pleasure the new space brings to the entire family. How Much Do Four-Season Rooms Cost? How Much Does a Three-Season Room Cost?